November means wine in York County, PA. The Mason-Dixon Wine Trail&apos;s Wine Just Off The Vine signature event returns this weekend and next. Four new wineries join this year&apos;s lineup and old favorites return, offering up a can&apos;t-miss fall getaway for oenophiles all across the region. 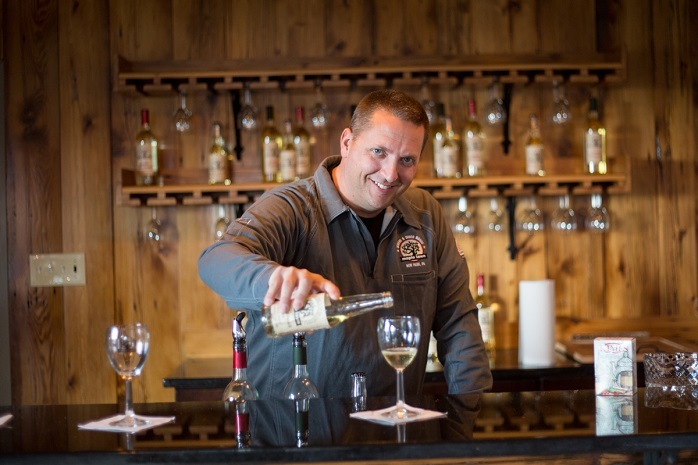 Wine Just Off The Vine is just one way to experience York County this weekend. Read on for more. Unwind after a long week at The Accomac, where this Friday brings another Firelight Night. Enjoy award-winning food as the Queen Ann Dining Room is illuminated only by candles and firelight. The meal - and the ambiance - cannot be beat. It&apos;s finally time for Wine Just Off The Vine, a tasting event on the Mason-Dixon Wine Trail that you won&apos;t want to miss. Taste your way across two state and 17 family-owned wineries as you learn about this year&apos;s harvest from the winemakers themselves. Tickets are available at all participating locations, and standard admission includes wine tastings, light food pairings, a souvenir wine glass and 10 percent of all wine purchases. Make it a true getaway and stay overnight with one of our special package deals! If you can&apos;t make it this weekend, you&apos;re in luck: The event also runs November 18-19. We&apos;d love for you to keep your Wine Just Off The Vine adventure going on Sunday, but if you want a nice entertainment pairing to go with your day of wine tasting, check out the high-flying Shanghai Acrobats at 3 p.m. at the Strand Capitol Performing Arts Center in Downtown York. The award-winning group is one of the most influential acrobatic companies in China.